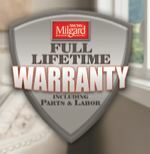 Portland homeowners love Milgard Essence windows. 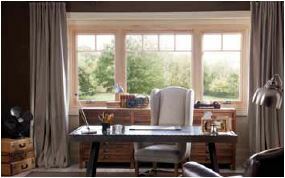 Essence wood and fiberglass windows are the perfect replacement for your drafty, non-working but beautiful old windows. We love the look of solid wood on the inside, with traditional hardware fittings. Outside, though, we don’t love the maintenance and the warping that comes with wood. Essence windows give us that traditional look and feel, without the maintenance and repair problems of those old single pane windows. Available in 15 exterior colors, with pine, fir or primed interior, we can replicate the beauty and charm that we love, but still have the energy savings and sound reducing qualities we want. Essence windows are crafted to meet Milgard’s exacting standards, and are available in double- and triple pane, to meet Clean Energy Works and Energy Trust of Oregon guidelines. And they carry the Full Lifetime Warranty, which includes glass breakage. Stop by our showroom and check out these beautiful, affordable windows. We’ll happily create a free quote for you. ← 3.14 – Who wants pi?